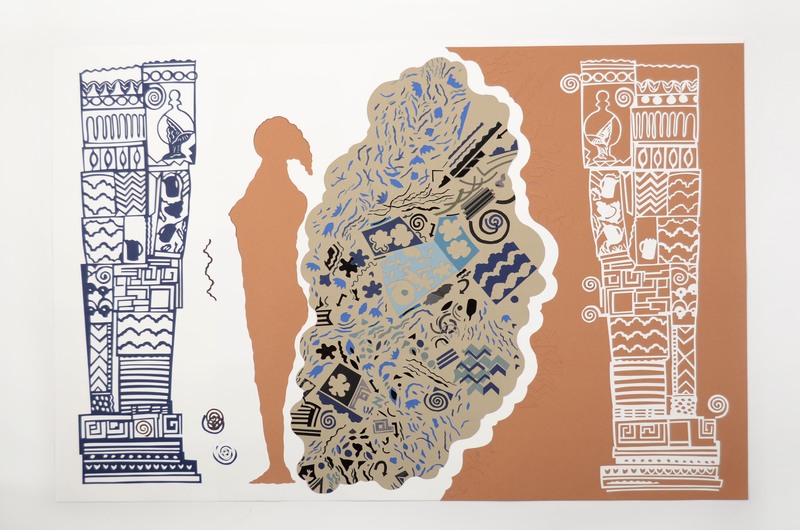 A body of new papercuts and ceramics completed 2014 were informed by the influential book The Grammar of Ornament by the architect and designer, Owen Jones, originally published in 1856 and republished as Decorative Ornament by Black Dog and Leventhal in 2006. 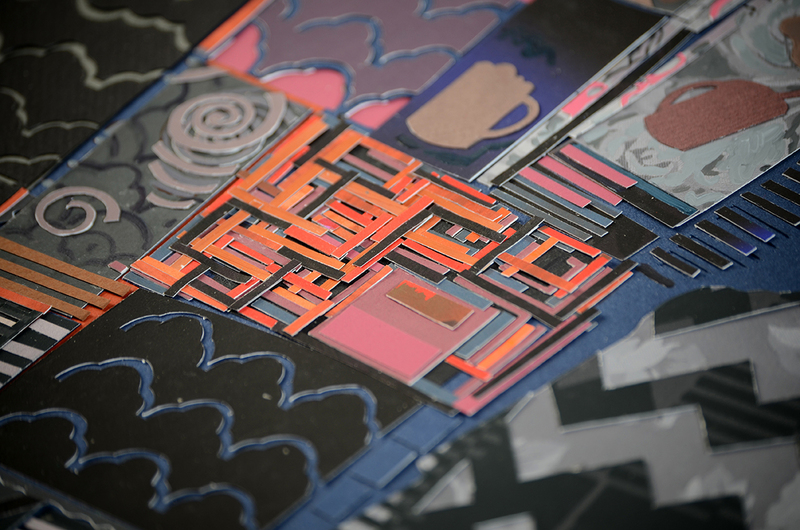 The papercuts correspond to, and are numbered according to each of the original thirty-seven propositions which govern the ‘general principles in the arrangement of form and colour in architecture and the decorative arts’. 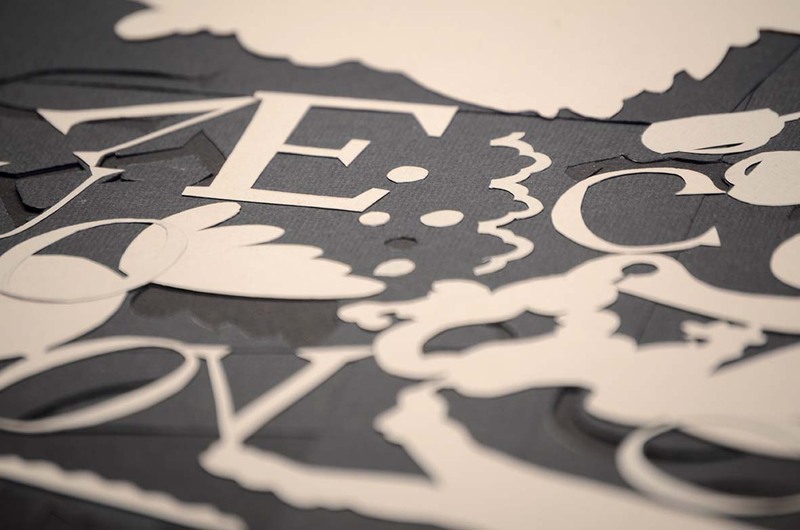 Each proposition provided a starting point, in some cases the entire proposition was taken on while in others, a single phrase, or merely a word triggered visual associations. 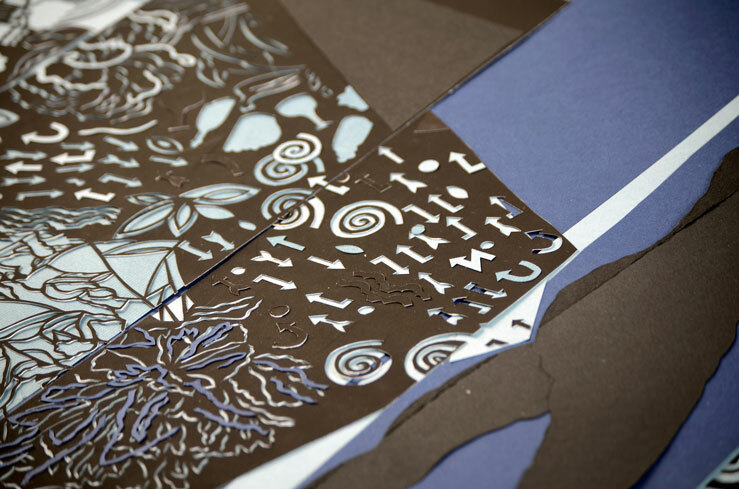 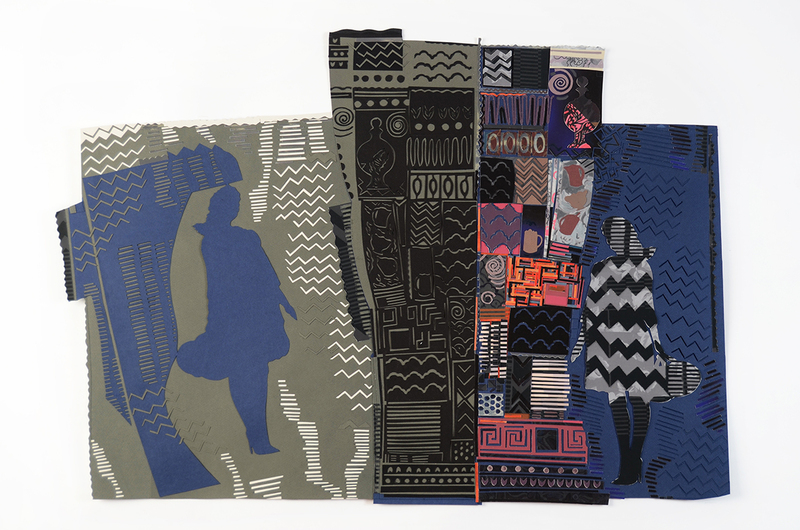 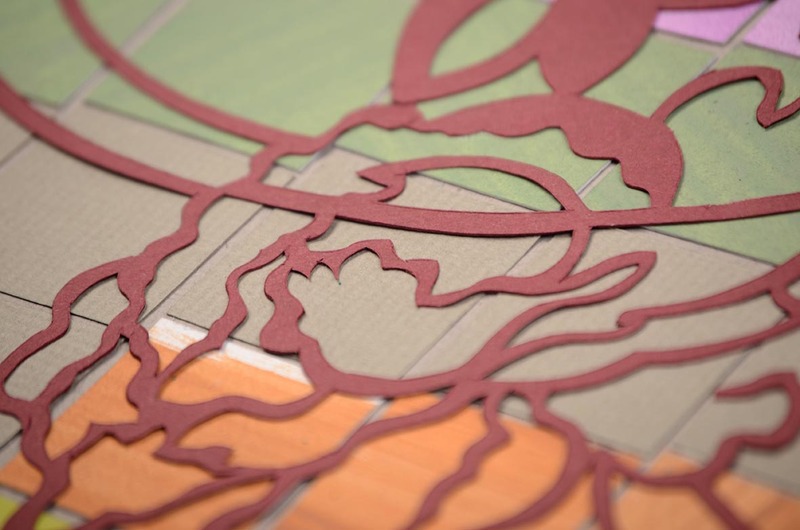 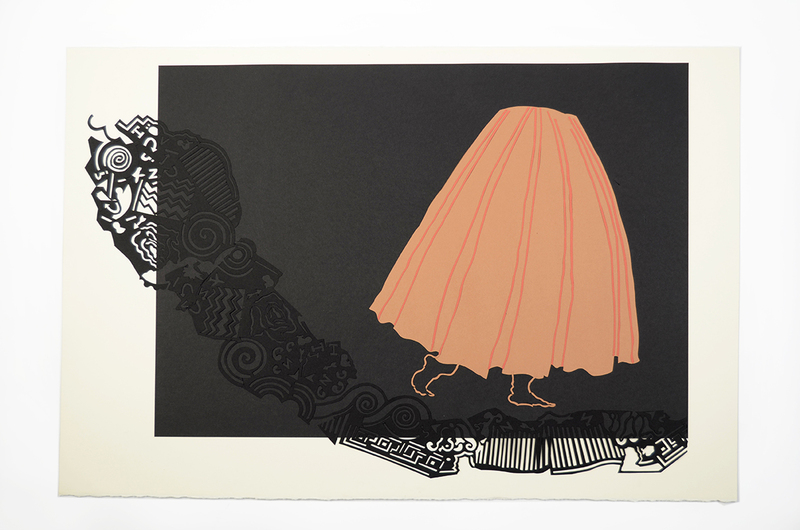 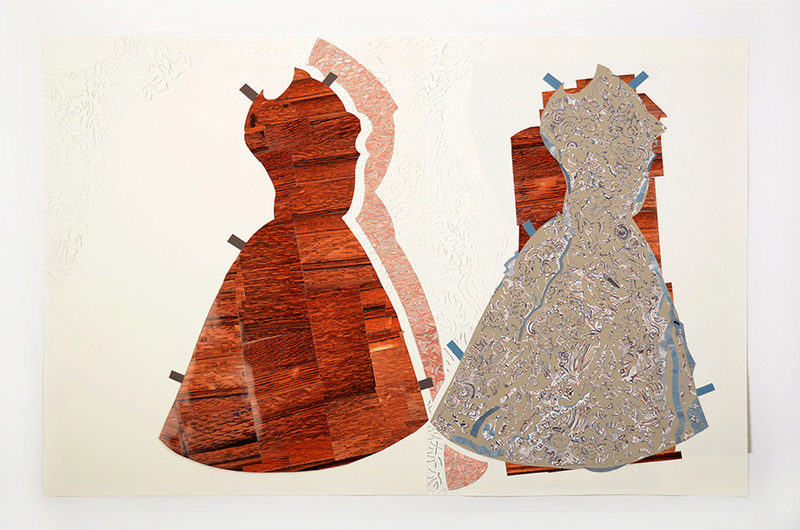 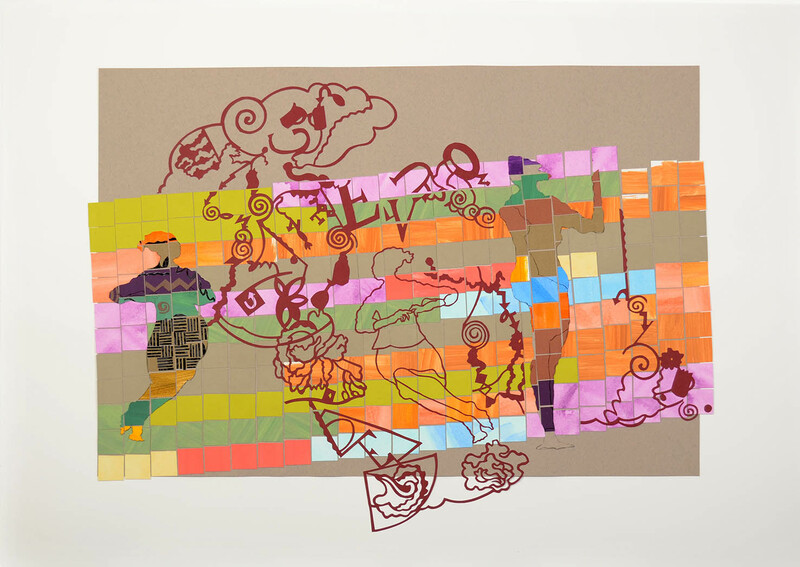 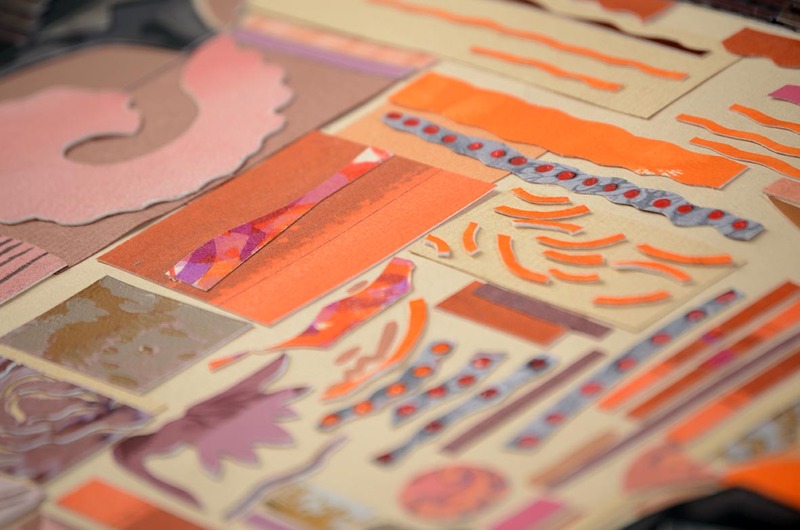 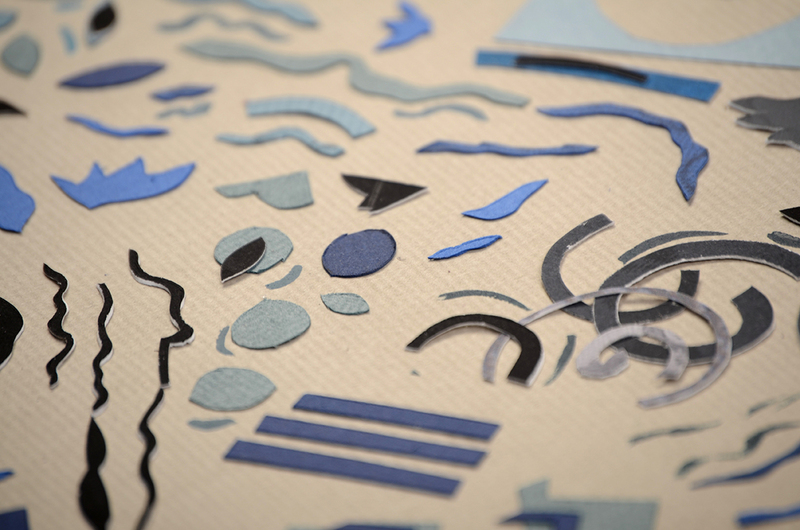 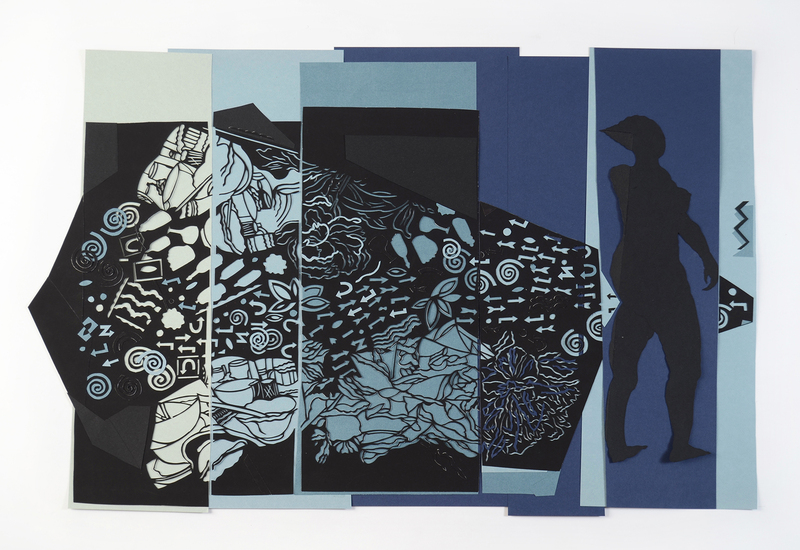 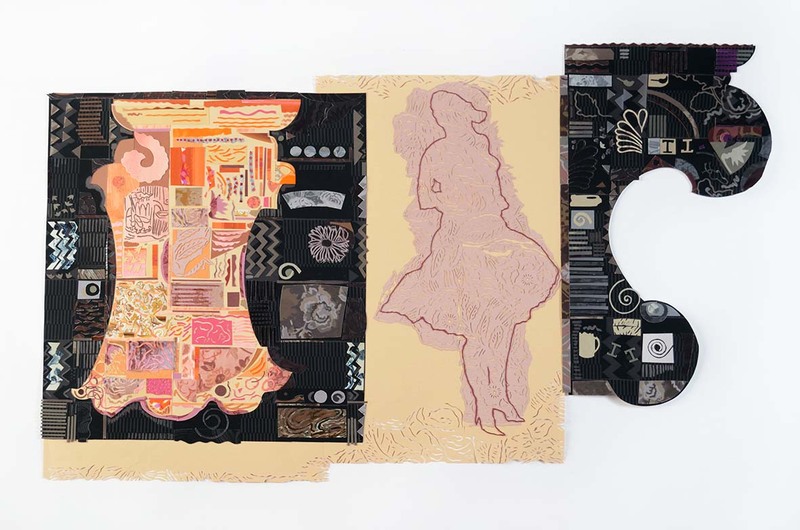 In the papercuts the female figure appears as a protagonist serving to undermine and disrupt the rigidity of the hierarchical system as presented by Jones. 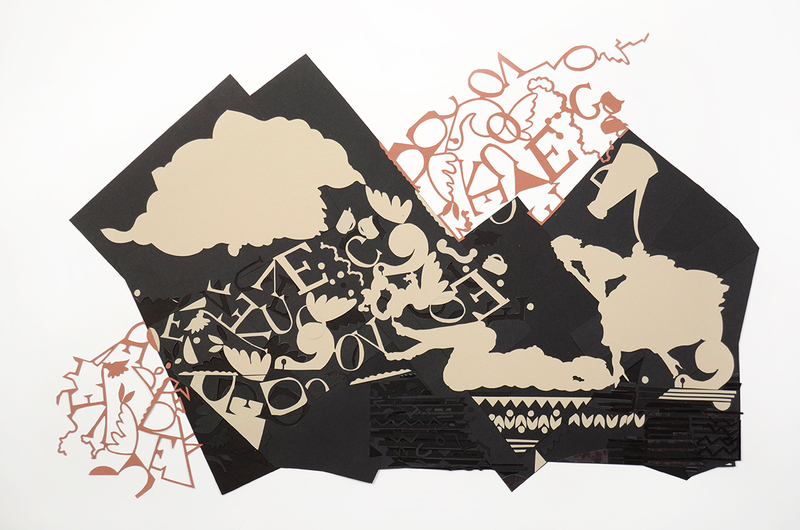 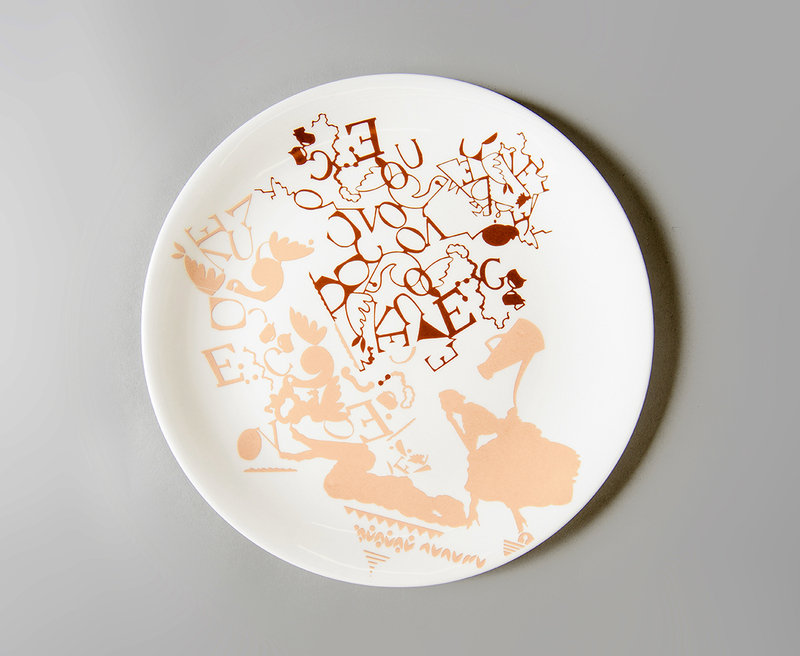 A subsequent series of 37 plates drew upon the imagery developed in the papercuts providing a step further away from the rules of the propositions. 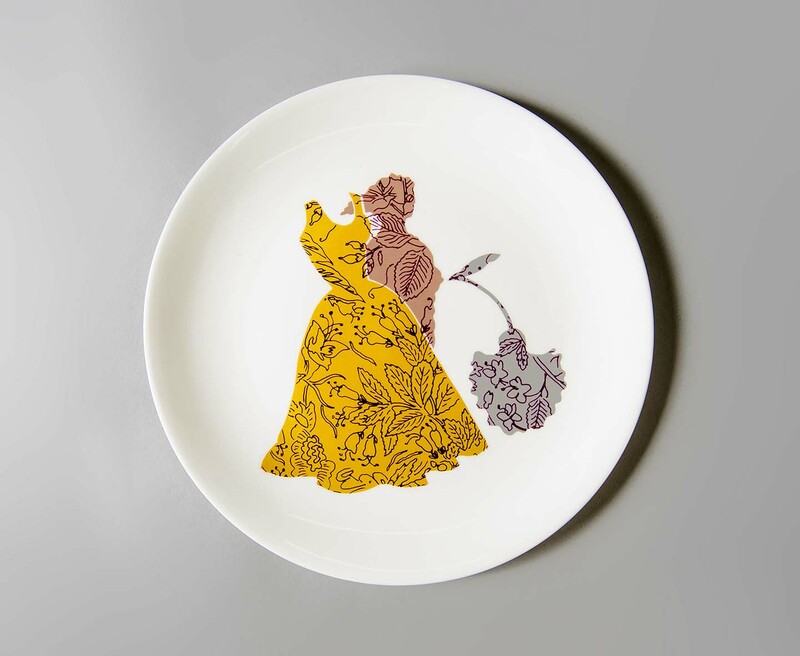 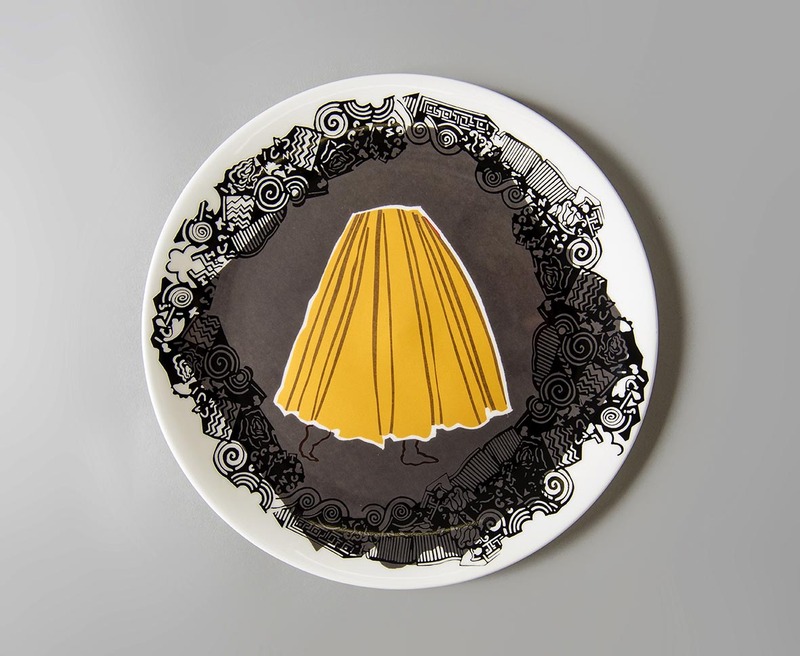 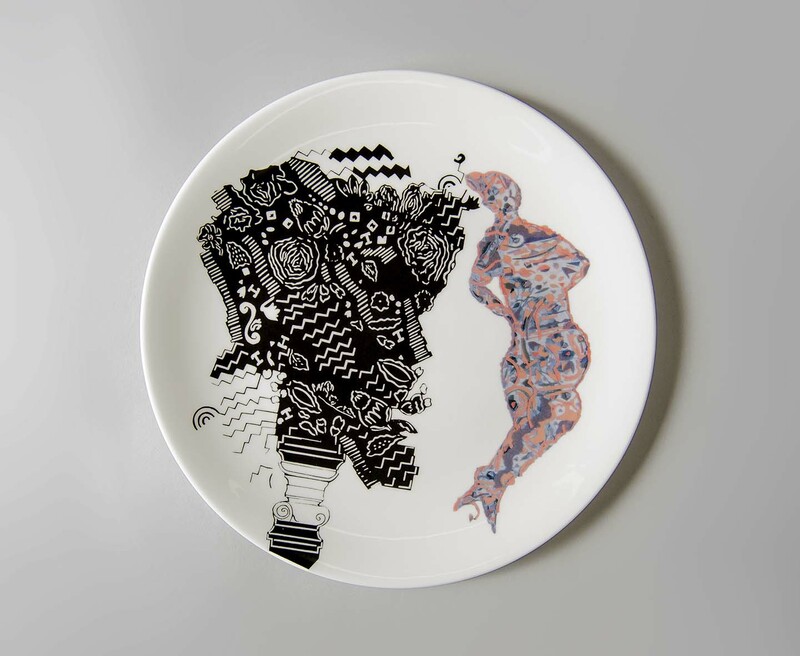 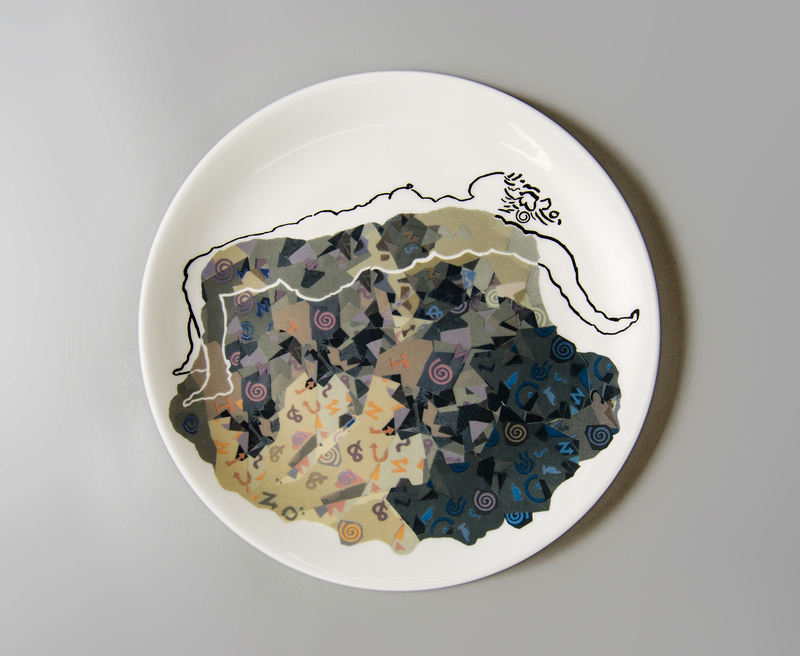 The form of a plate situates the imagery firmly within the domestic domain rather than the lofty iconography of architecture and grand design. 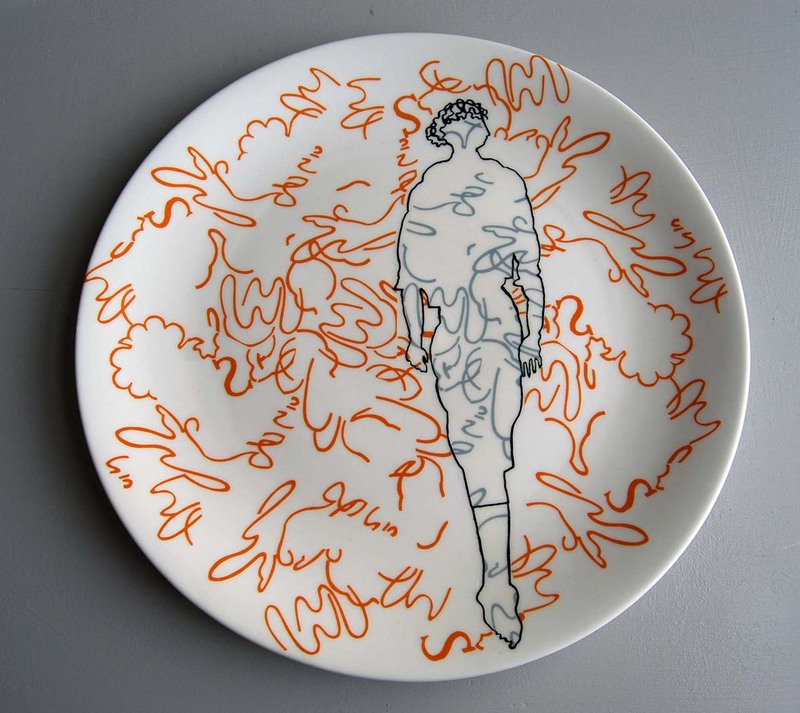 The work was exhibited in solo shows at jaggedart London and New Hall Art Collection, Cambridge, with a group of ceramics at Clara Scremini Gallery, Paris 2014.